It must be nice to live in a world where it’s easy to secure your home, read stories on a color monitor without strain, even enjoy a delicious peanut from time to time and have your clothes professionally cleaned. From the home security system and cataract surgery, these and other products and methods have made life easier for you, thanks to these nine black inventors. An abolitionist and tradesman, Thomas L. Jennings also owned a tailoring and dry-cleaning business. He was also the first black man to receive a patent and gain exclusive rights to his own process. Due to a large fire in 1836 at the U.S. Patent House in Washington, D.C., the details of Jennings’ patent have been lost. However, his patented dry cleaning process in 1821 is a precursor for modern day dry cleaning. 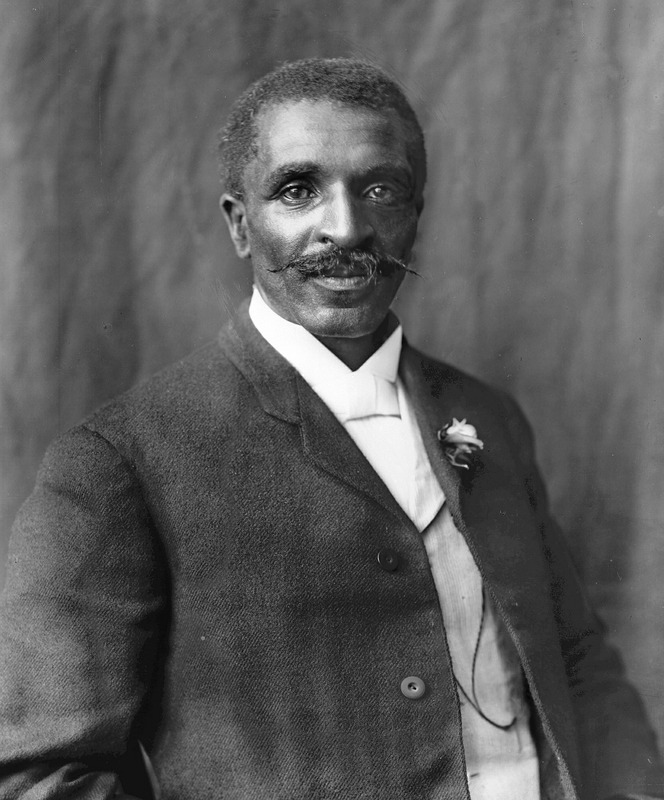 Known most widely for his work with the peanut, George Washington Carver was a botanist who influenced this country’s agriculture. Carver spent 47 years at Tuskegee University, where he was able to teach and head the Agricultural Department, and created new farming methods improving the quality of crops and promoting new ones, like the peanut. Two of his most notable patents include a peanut-related paint or stain, as well as a pomade or cream. Otis Boykin saved lives. The Texas-born engineer moved to Paris in 1964 and created a control unit for the artificial cardiac pacemaker. Ironically, Boykin died of heart failure. His other achievements include inventing a burglar-proof cash register and helping in the development of IBM computers. It’s gotta be the shoes! Jan Ernst Matzeliger’s shoe lasting machine helps connect the upper part of a shoe with its sole, something previously done only by hand. This machine, patented in March 1883, could assemble 105 to 700 pairs of shoes in one day, compared to the 50 pairs a day one would aim for if lasted by hand. Morgan is probably more known for inventing the gas mask and the traffic signal, but one of his most notable discoveries was made by mistake. While working on a safety hood smoke protection device in 1914, he accidentally discovered the oil he was using had the ability to straighten hair. He was also the first African-American to own a car. ADT and Tyco are able to protect you because Marie Van Brittan Brown developed the first home security system in 1969, because, she said, the police were slow to respond when called. She was born, lived and died in the same house her entire 76 year life. Other inventions include the first closed-circuit TV. Woman was a genius and changed the world. The monitor you probably reading this article on, well, you can credit Mark E. Dean for that. The computer scientist developed the color PC monitor, along with the first gigahertz chip and the Industry Standard Architecture (ISA) system bus. The ISA bus is a hardware interface that enables printers, modems and keyboards to plug into a computer. Dean has been inducted into the National Inventors Hall of Fame and received the highest honor one can get at IBM, being named an IBM Fellow. Ophthalmology deals with eye disease and thankfully Dr. Patricia Bath, an ophthalmologist, invented a device that refines cataract surgery, known as the Laserphaco Probe. In her 75 years, Dr. Bath has co-founded the American Institute for the Prevention for Blindness, been the first woman to chair an ophthalmology residency program in the U.S. and was the first African-American woman to finish a residency in ophthalmology and receive a medical patent. The activist, entrepreneur and philanthropist developed a hair-growing formula specifically for black women in 1905, after suffering her own hair loss from a disease. With this, Walker became America’s first self-made female millionaire. Both her parents were slaves.